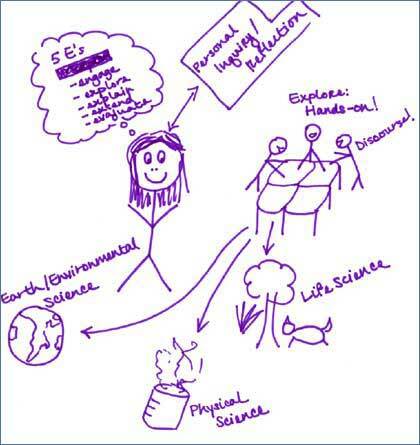 This drawing received a score of one for the presence of science learning with others. The drawing depicts a small group of three learners working together around a table. The text suggests that students would explore through hands-on activities and engage in discourse with one another.